LANDAUER ship the dosimeters either to a central department or to multiple locations. The dosimeters are delivered one week before the beginning of the next wear period. 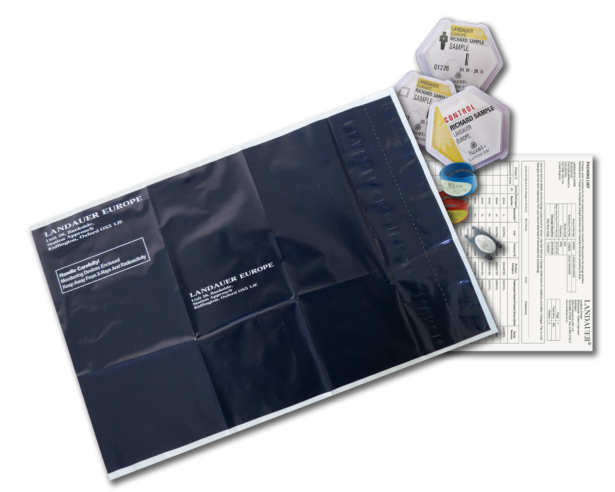 Your dosimeters are delivered in boxes or envelopes together with a packing list, and at least one control dosimeter. 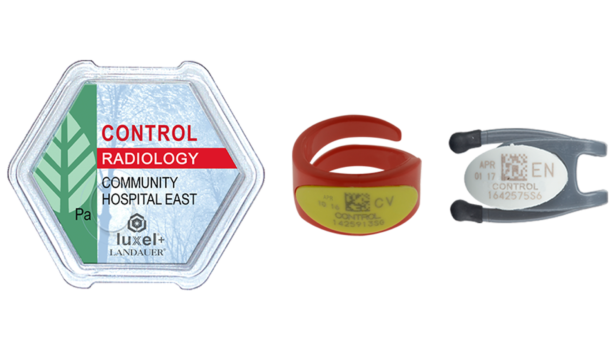 Personal identification, including account number, participant number, begin wear date and unique serial numbers are all printed on the reverse side of Luxel+® dosimeters and laser etched on to our extremity SATURN® rings and VISION® lens of eye dosimeters. All routine shipments are sent to a central location or can be sent to multiple sites (series) at the same address or to different addresses. Series within accounts are segregated on dosimetry reports, and the site name appears on the dosimeter. All shipments include control dosimeters, one for each type of dosimeter.